January 9, 2018 /3BL Media/ - In late 2016, the SROI Canada Network and the Social Impact Analysts Association merged to become Social Value Canada (SVC). SVC is positioning itself to be the national hub for Canadians to connect, learn and exchange ideas about social impact, social value creation and measurement methodologies. SVC is part of an international network of over 45 countries advancing social value measurement as a member of Social Value International. 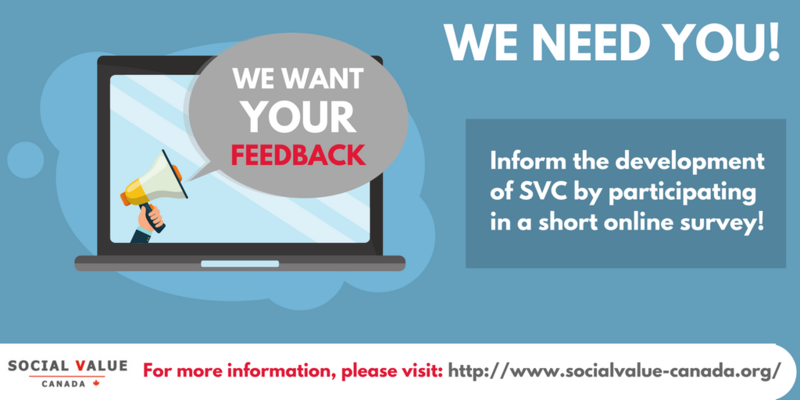 Today, we are asking you to help inform the development of SVC - a membership organization dedicated to changing the way society accounts for value, by participating in a short online survey. share relevant resources on social impact measurement in Canada and around the world. The link to the online survey is an opportunity to inform how SVC will achieve the above objectives. Our intention is to build out a service offering and membership structure based on your interests. We look forward to hearing from you and to working together to build Social Value Canada.